What does a North County San Diego Contract Lawyer Do? Doing business in California often means potentially getting involved in legal disputes with other businesses, your own employees and business partners, and other parties. When not handled properly, these disputes can become extremely costly and destructive. Let our experience North County San Diego Contract lawyer evaluate your documents in order to guide you in the right path. The best path to preserve your legal rights and assure the security of your assets. At the Khashayar Law Group, our attorneys understand our clients’ business needs and pursue effective business strategies. We handle cases in the areas of, contract law, unfair competition, shareholder disputes, real estate, and more. This section of our site includes some general information about business & contract law. To discuss your case with an experienced North County San Diego Contract Lawyer, contact us directly in order to get a one on one with an experienced North County San Diego contract lawyer who will look at your particular legal issues and advise accordingly. Business formation: In addition to registering your new entity, we can help you create articles of incorporation, operating agreements and bylaws to get your business started on the right foot. We have the experience and knowledge to help you achieve your corporate goals and file proper licensing documentation with the government. Corporate governance: Our attorneys can help you draft shareholder agreements and bylaws as well as minutes for board and shareholder meetings, so you can comply with state and federal laws. Mergers and acquisitions: Whether you are buying a business or merging with another entity, we can draft your buy-sell agreements or shareholder agreements. Business dissolution: If it becomes necessary to end your business, we can help you wrap up your interests and debts. We can also help you give your business a fresh start as a new entity. The two businesses may merge into a single company pursuant to a merger agreement. One business may acquire the other pursuant to a stock sale, buy-sell agreement or other type of purchase and sale agreement. One business may dissolve and transfer its property, contracts, goodwill and other assets to the other business through an asset sale. Which scenario is advisable for your situation depends on many details about the types of businesses and assets involved, as well as the goals of the transaction. At the Khashayar Law Group our experienced attorneys assist California clients with aspects of contract law such as mergers and acquisitions, including drafting purchase and sale agreements, handling all escrow and due diligence issues pre and post closing of the transactions and the liquidation and winding up of business entities slated for dissolution. Mergers and Acquisitions of business entities in California can be extremely complex transactions. Your choices regarding which routes to follow can have a substantial impact on the timeliness and success of the merger, sale or dissolution process. At the Khashayar Law Group our experienced attorneys will simplify your merger and acquisition by taking the time to explain contract law and all aspects of the process to you. Due diligence: Our experienced attorneys will diligently pursue and inspect the company you are purchasing. Over the years, we have built the experience needed to help us provide the financial data and protection our corporate clients require. Careful drafting: We understand that one mistake in a buy-sell agreement or shareholder agreement now can result in tedious and expensive litigation later. 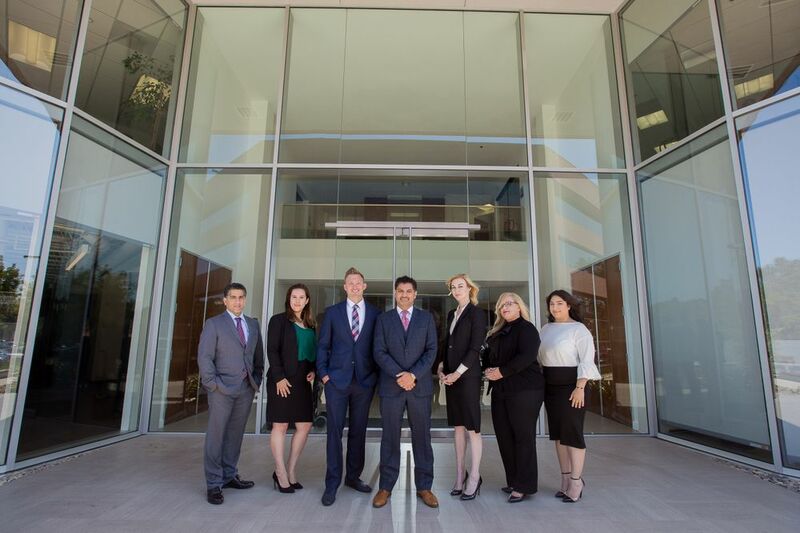 Our attorneys who practice litigation are well experienced in going over these agreements and picking out flaws for the purpose of litigation, therefore they know what to look for, and what issues to address in order to avoid expensive litigation. Our North County San Diego contract lawyer and attorneys draft your acquisition agreements and business formation documents with care to protect you in the future. Creative solutions: Buying a business requires an eye for creative solutions to resolve potential problems as they arise. We are dedicated to finding methods and strategies that help your transaction move forward smoothly and cost-effectively. Our corporate law attorneys help shareholders, who have been subjected to unfair treatment and other violations of their rights. We assist them in pursuing positive resolutions through effective litigation strategies. Attorneys at the Khashayar Law Group can evaluate your particular situation and advise you on the path to take in order to preserve your rights and interest. Litigation is not always the best avenue, and the attorneys at the Khashayar Law Group will look at your particular situation and guide you accordingly. Whether your concerns are directed at other shareholders who are violating your rights or managers who are violating their corporate duties to some or all of the company’s shareholders, we can help you choose an appropriate strategy. A business contemplating bringing or defending a lawsuit would be well served by consulting with a seasoned attorney like one from Khashayar Law Group to better understand all of the legal options.No matter what your particular Southern California issue may be, the talented attorneys at the Khashayar Law Group can help you to understand and fight for your rights. Email or Call Khashayar Law Group to speak with a North County San Diego Contract Lawyer: (760) 806-4388.